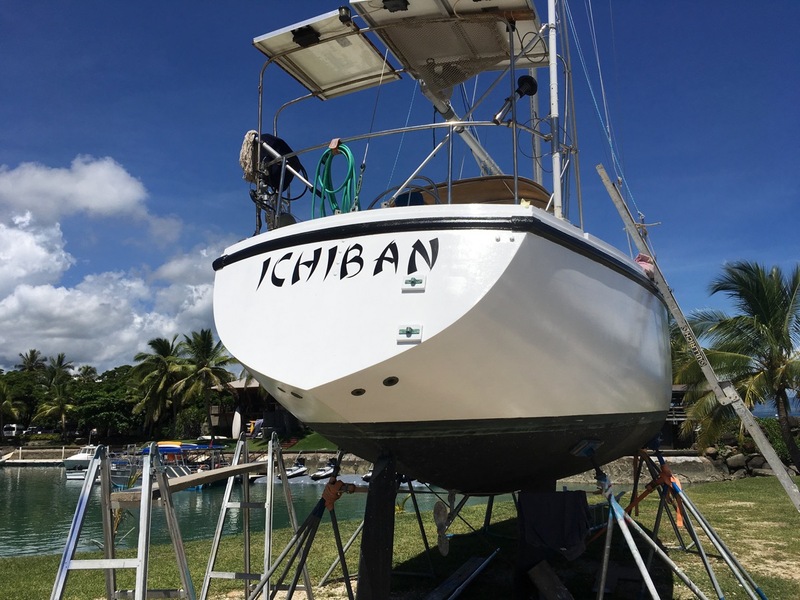 Colombia 34 MK II 'Ichiban' is a good example of this very strong and popular cruising yacht. 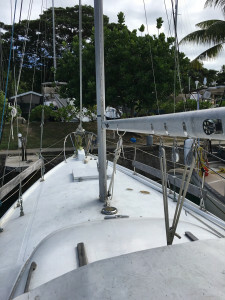 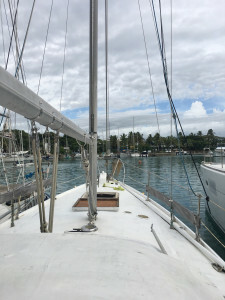 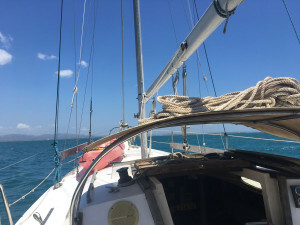 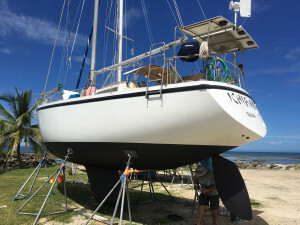 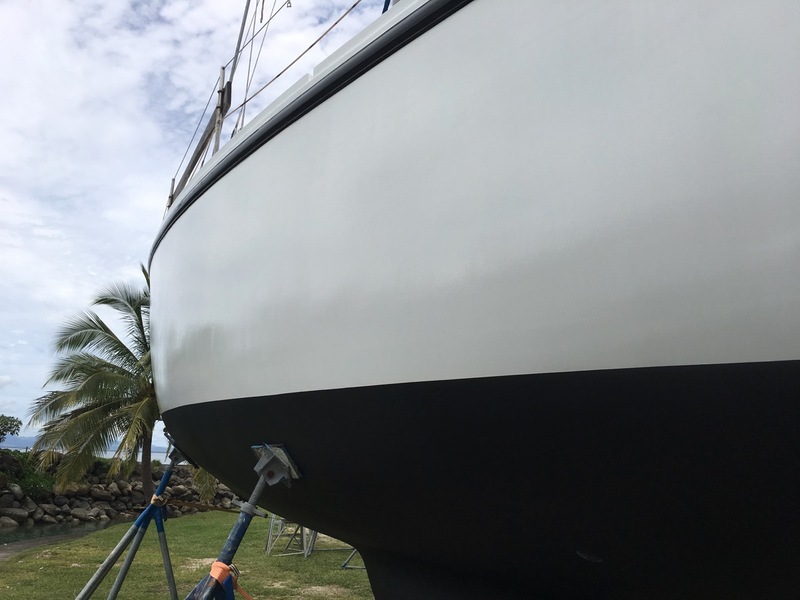 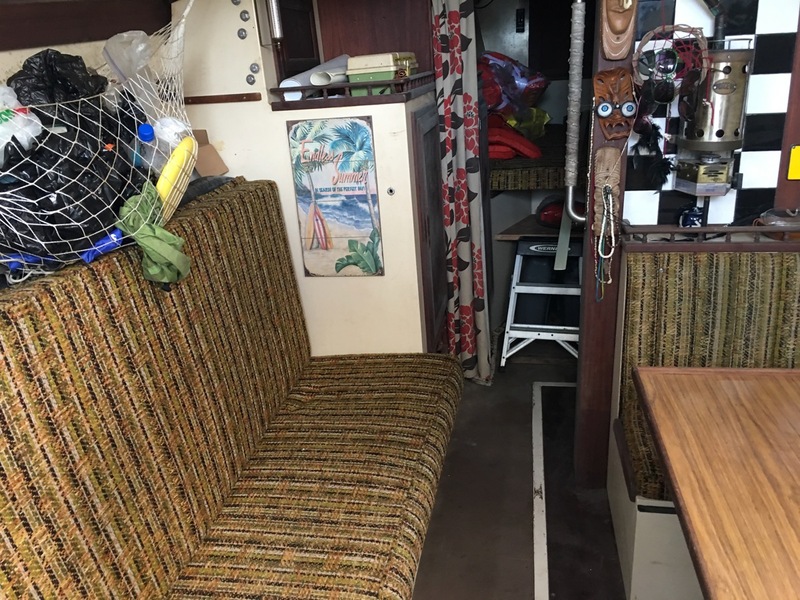 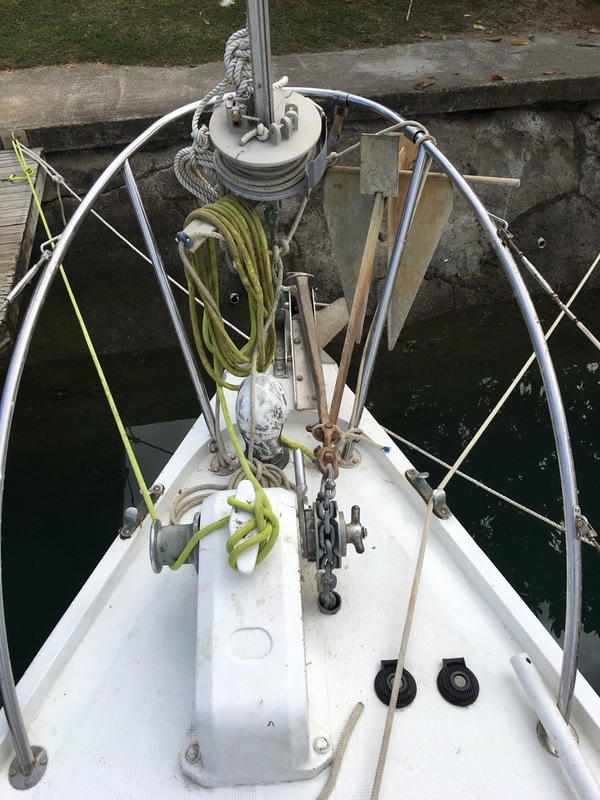 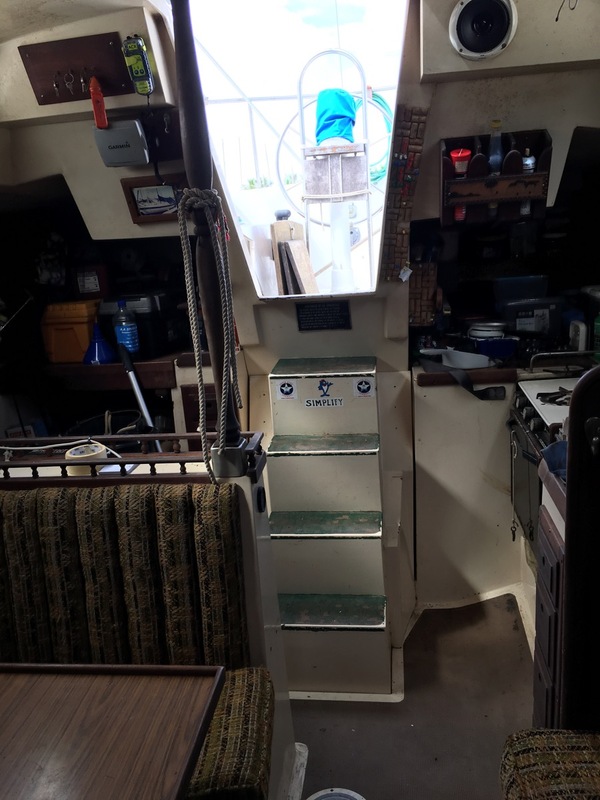 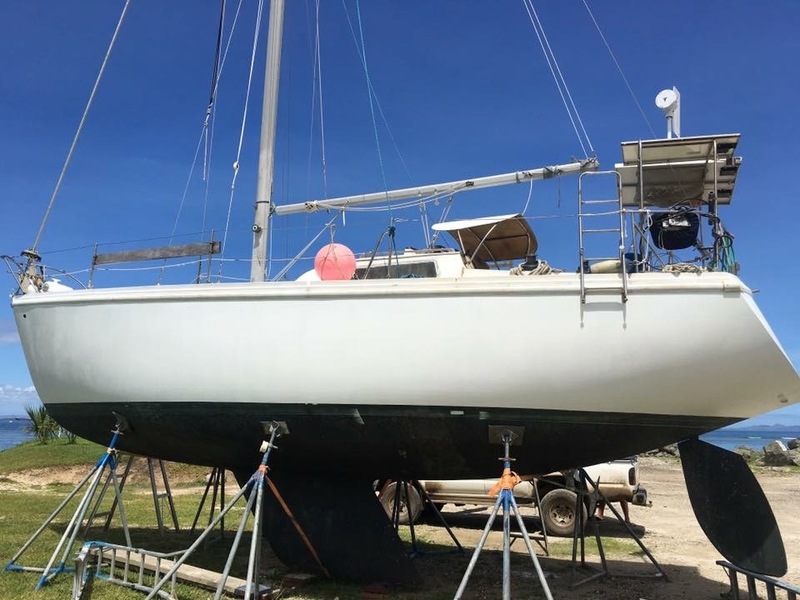 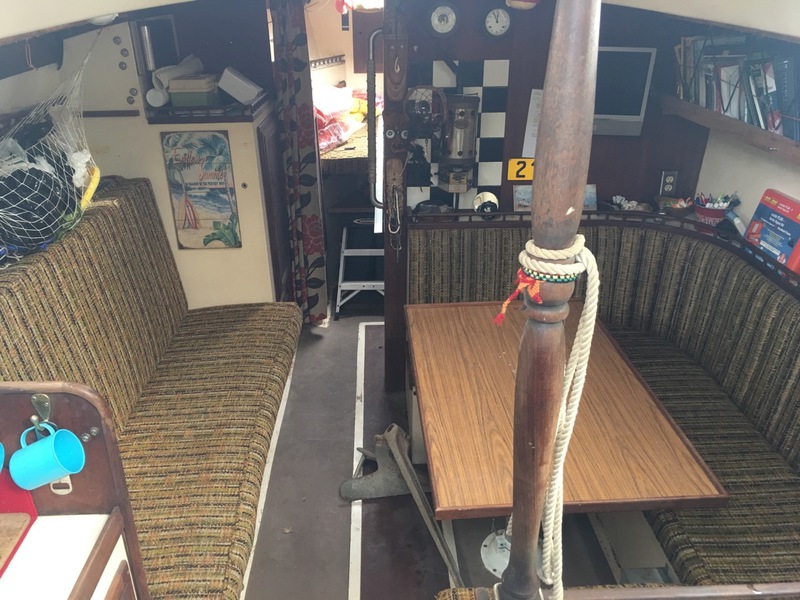 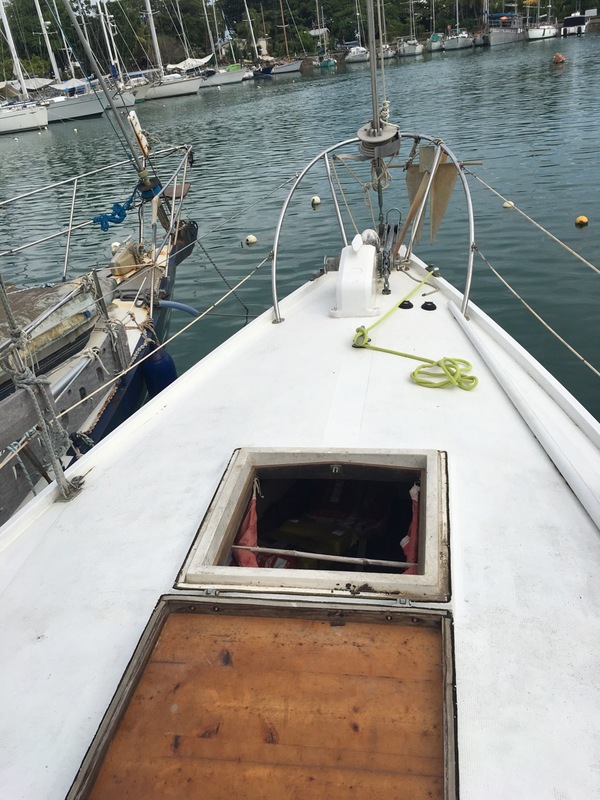 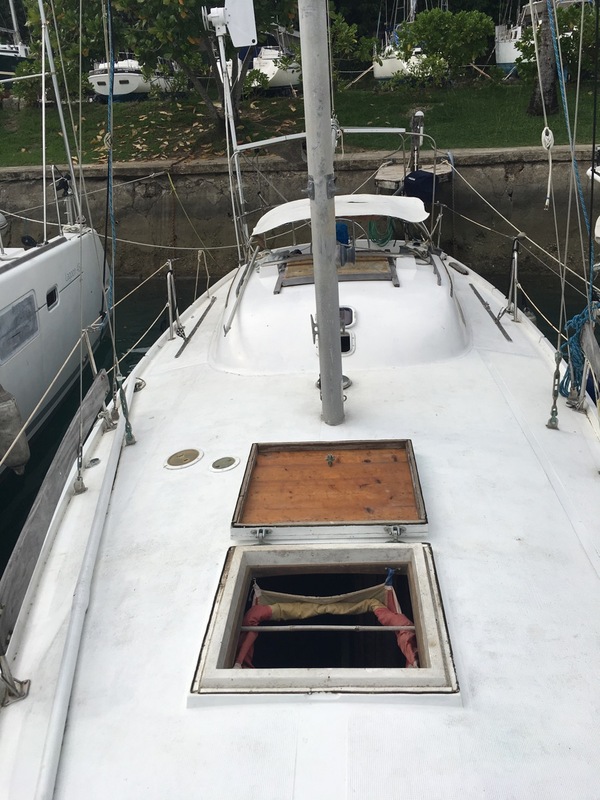 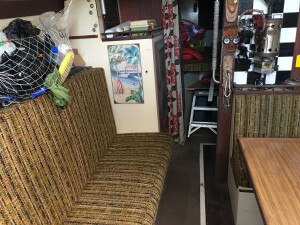 She was sailed by her previous owners from the US west coast to Fiji, and was imported by her current owners, who carried out an extensive refit, having the hull re-sprayed, a new diesel engine installed, as well as new wiring, anchor winch, anchor chain, and a lot of other upgrades. The boat was surveyed in September 2017 (report available). 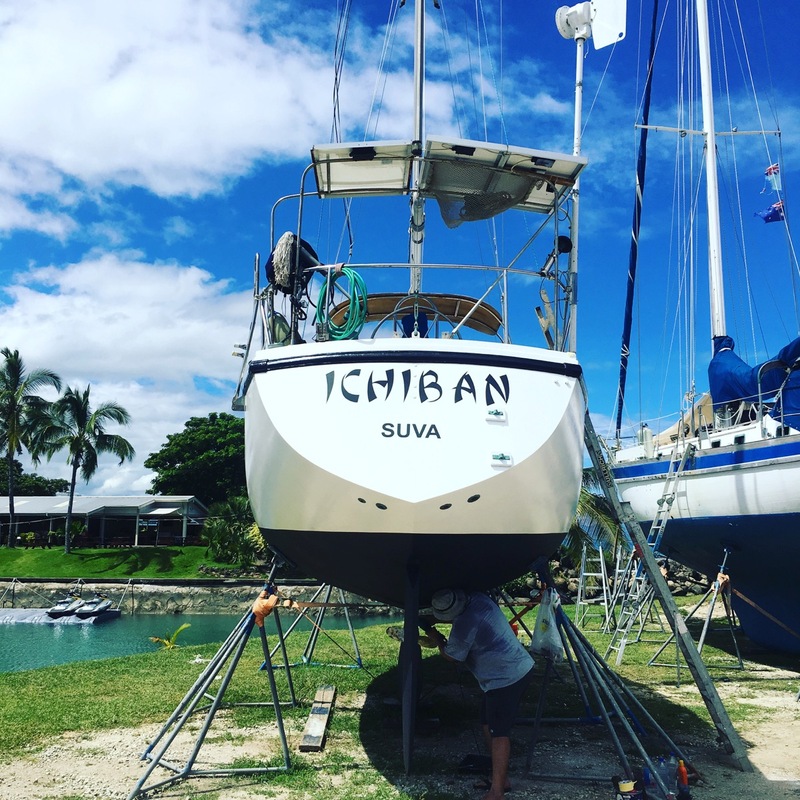 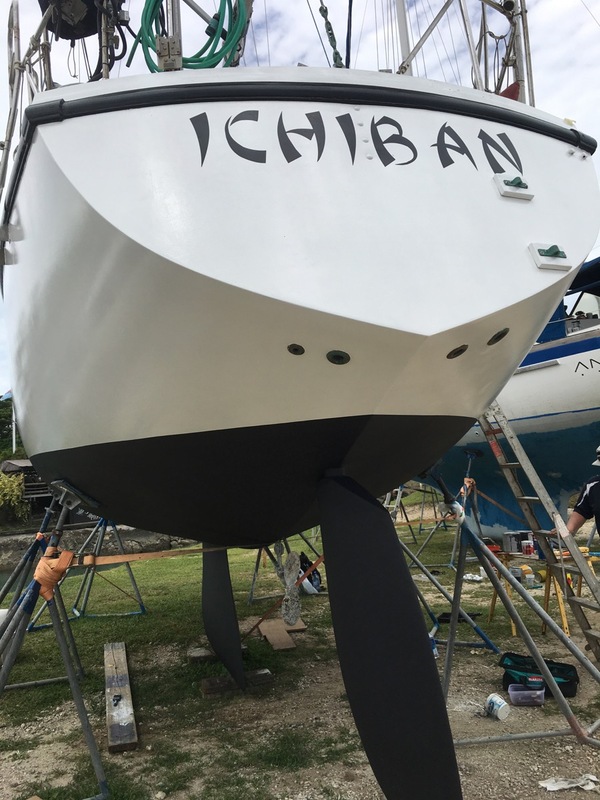 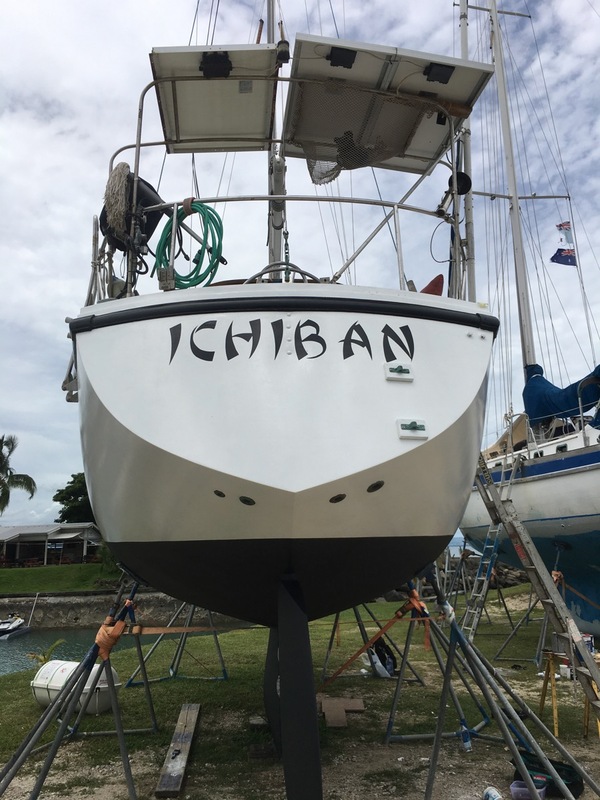 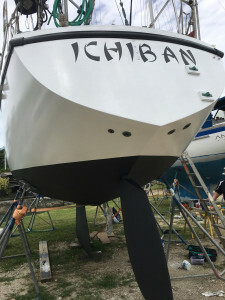 ‘Ichiban’ would make a very good and affordable cruising yacht to live aboard or explore the 330 Fijian Islands. 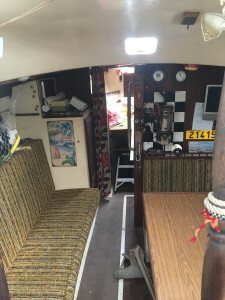 The interior is clean and dry but could do with refreshing as it is original. 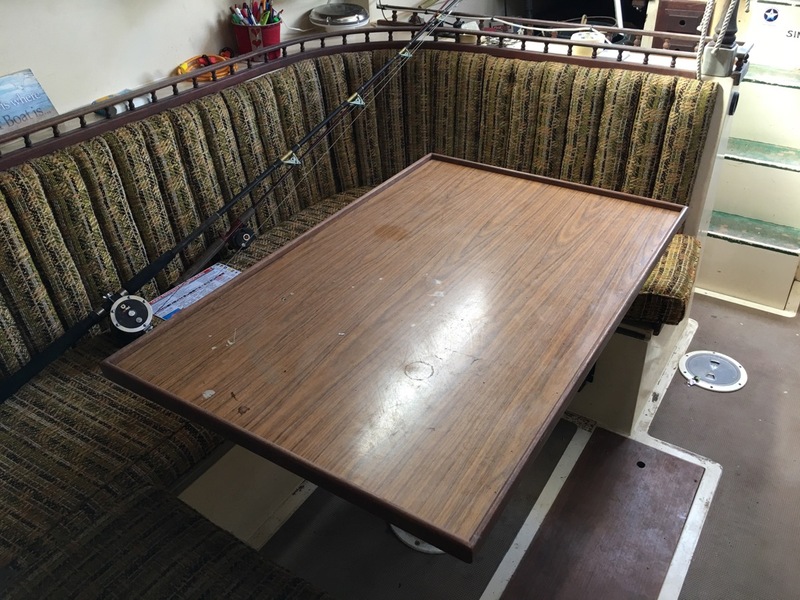 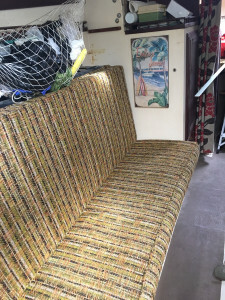 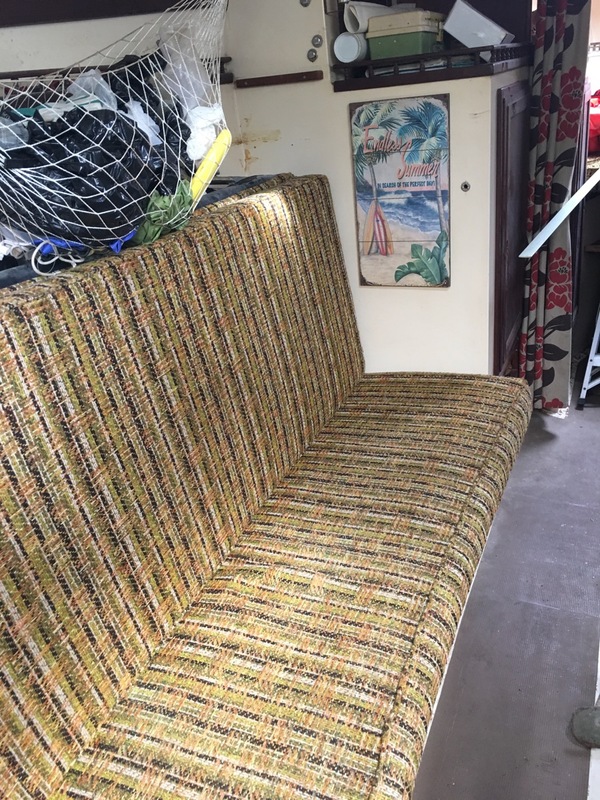 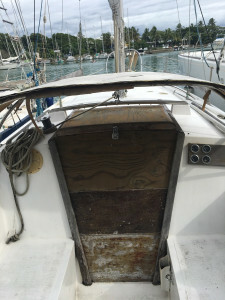 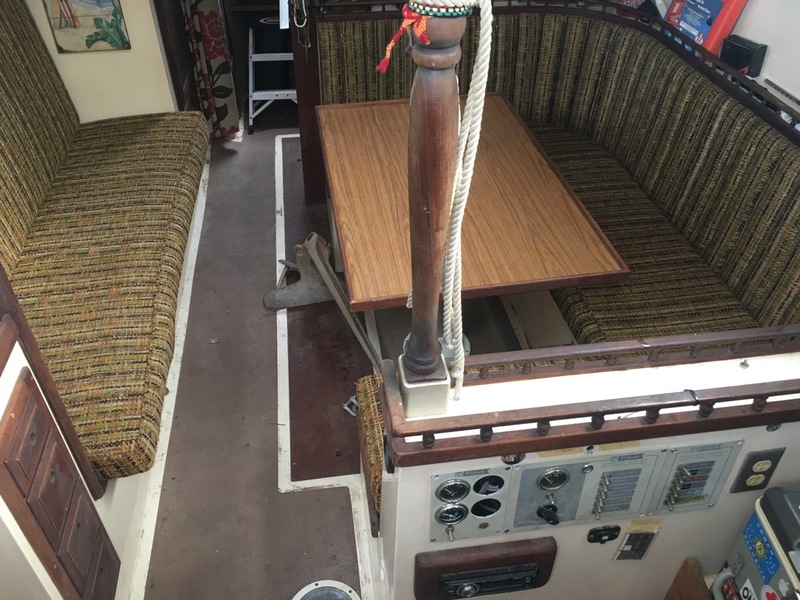 The exterior presents in good condition and the boat is sound and seaworthy. 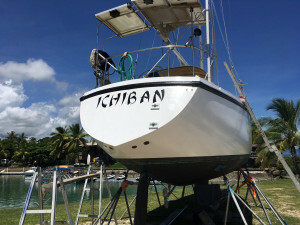 Columbia Yachts are manufactured in the US and have been mostly used as coastal cruisers, although many have ventured much further afield across the Pacific and several having circumnavigated. 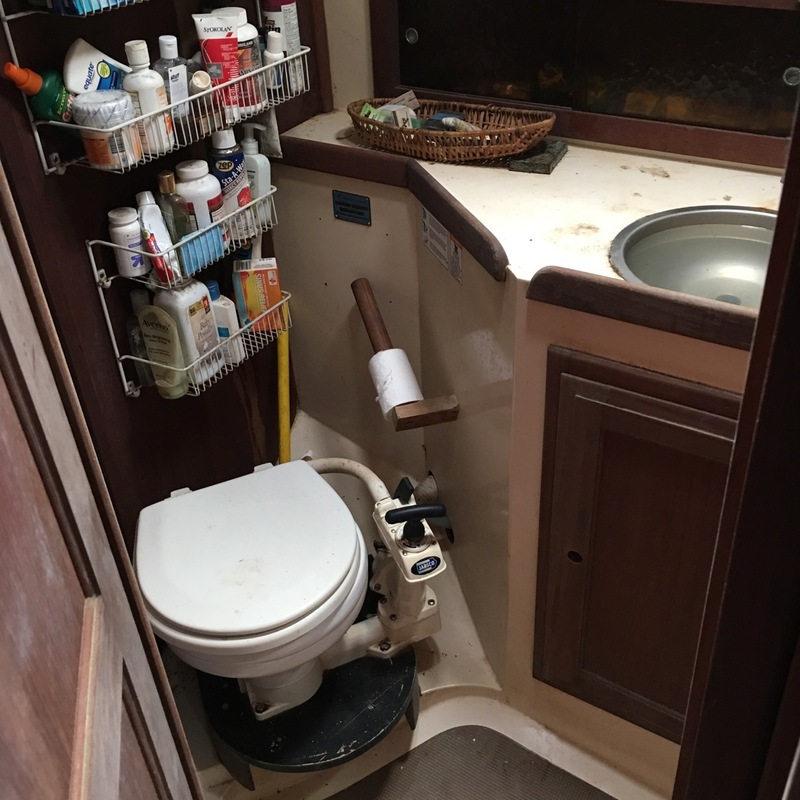 The build is solid and stable, and the interior well designed to make the most of the small space. 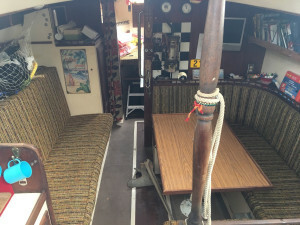 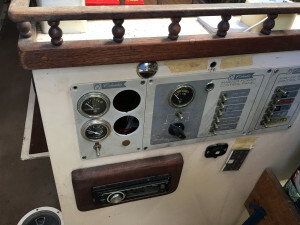 The cockpit is one of the highlights, being large and comfortable for a boat of this size. The vessel is a Columbia 34 Mk II production masthead cruising sloop constructed of fibreglass reinforced plastic (GRP) and having a fin keel, spade rudder with quadrant steering and a transom stern. 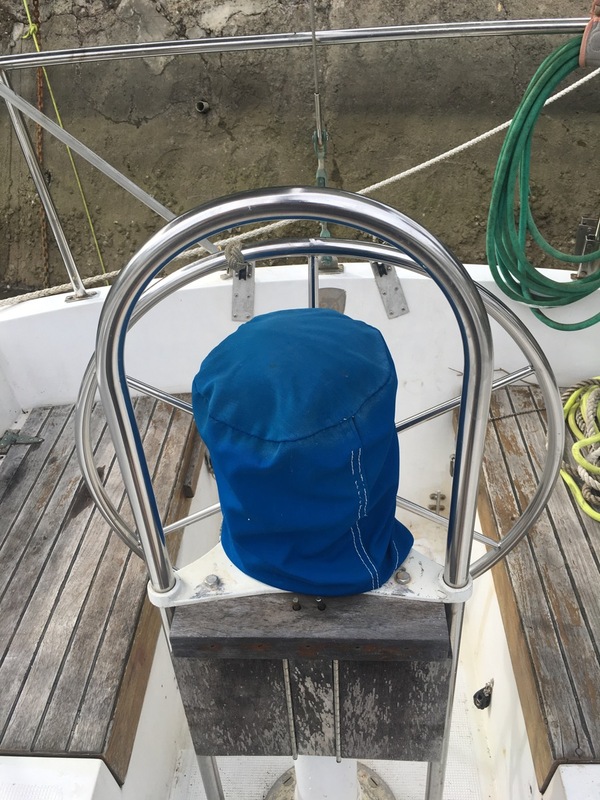 The vessel has an aluminium mast and boom and a stainless steel standing rig. The hull is white in colour with red trim at the sheer strake and green boot-topping. 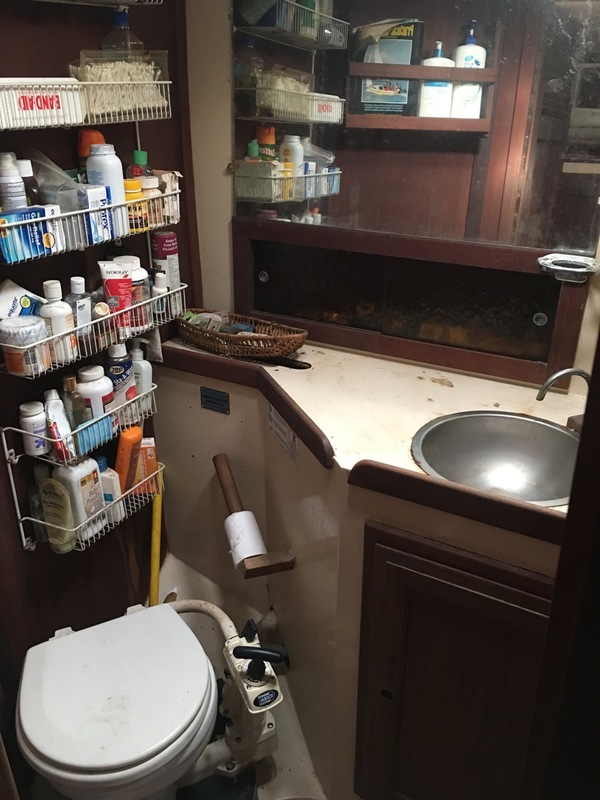 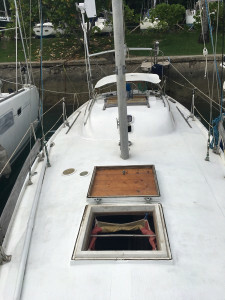 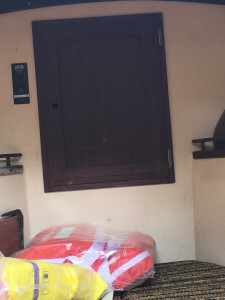 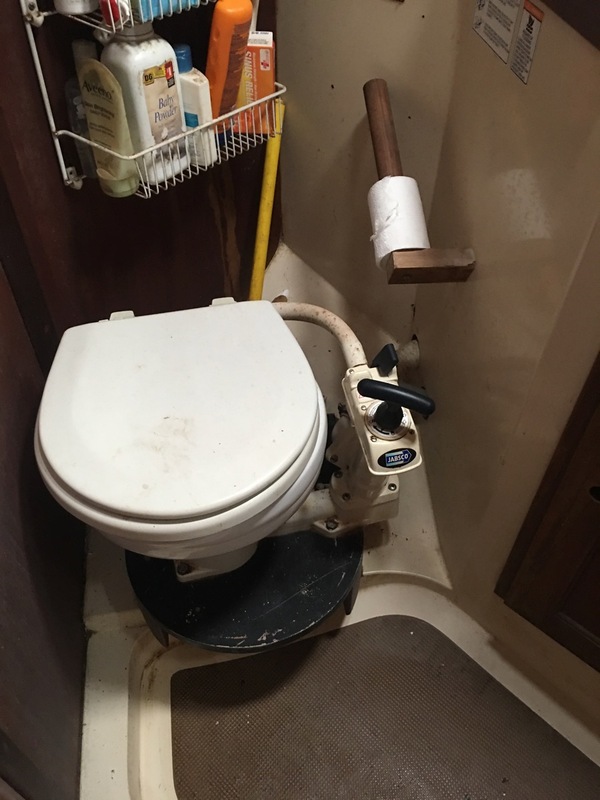 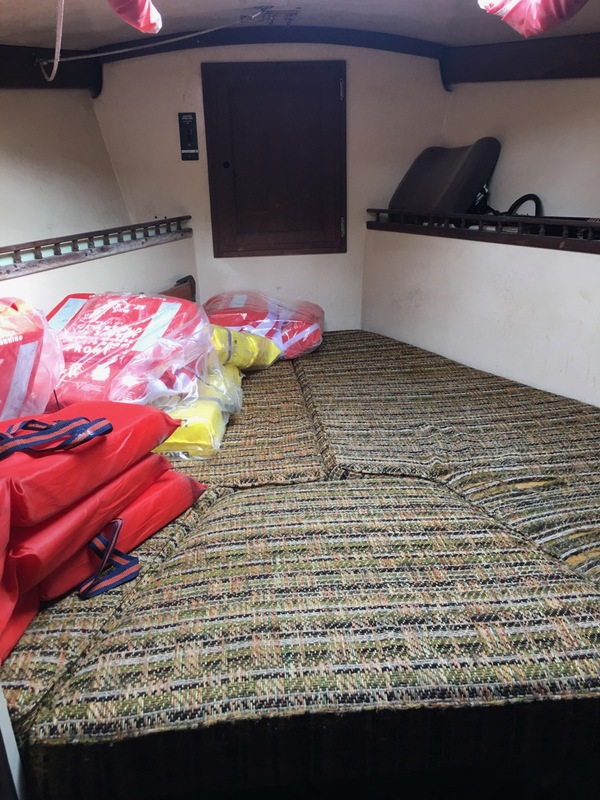 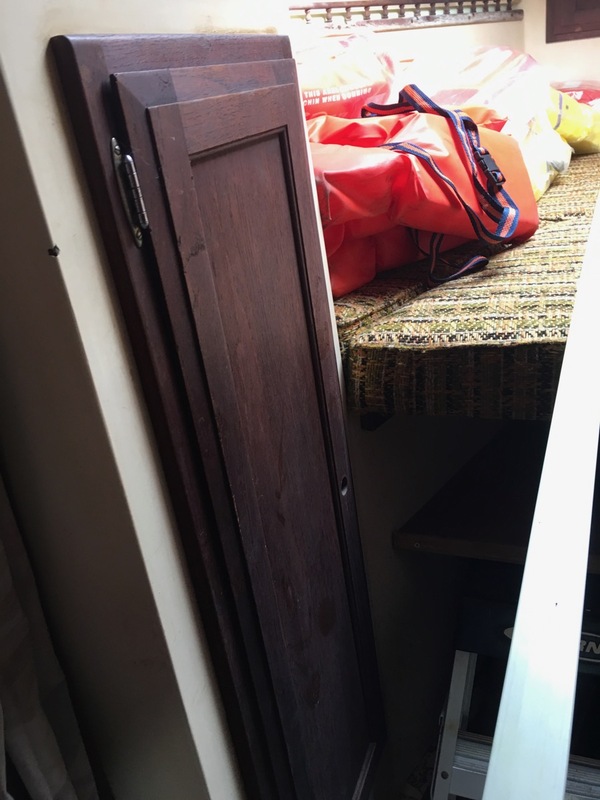 A vee berth cabin is located at the fore end of the vessel aft of the collision bulkhead aft of which to starboard is a water closet and directly opposite a storage space. 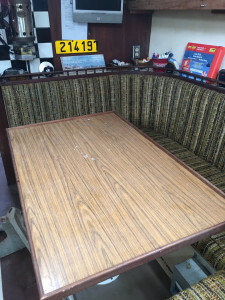 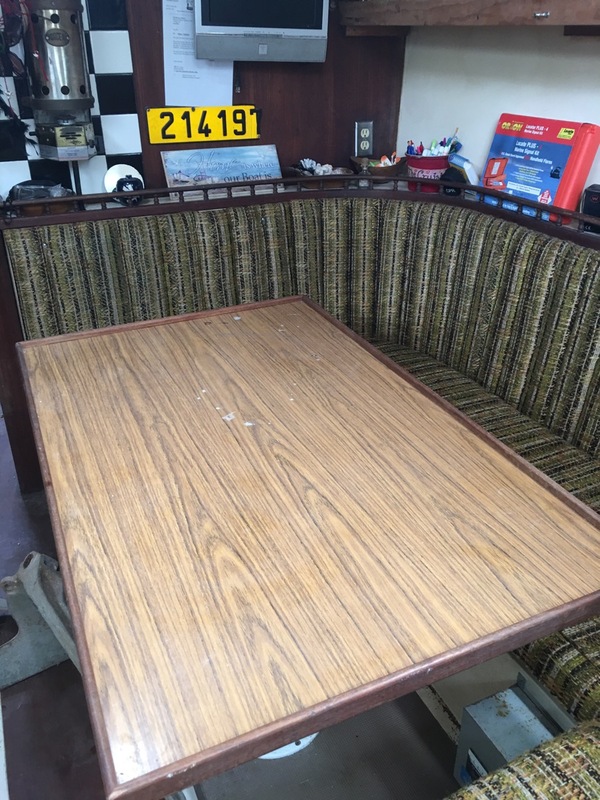 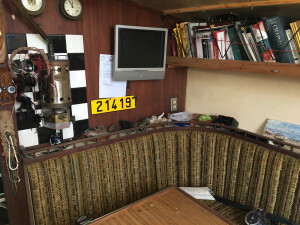 The saloon features a dinette table surrounded by a horse shoe lounge. 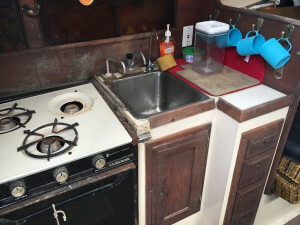 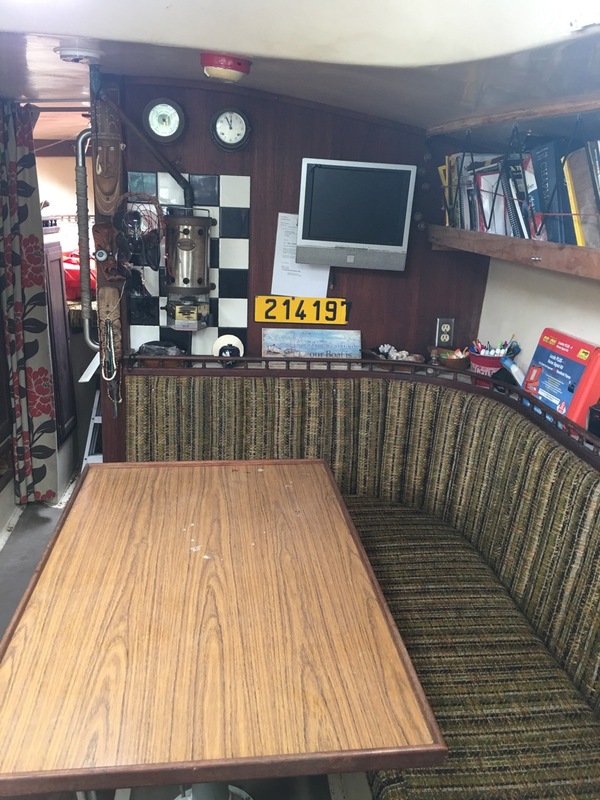 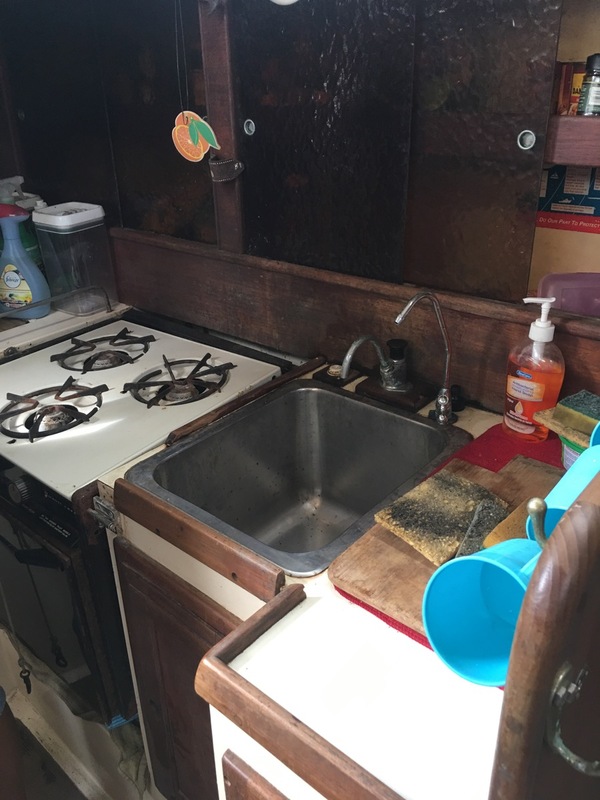 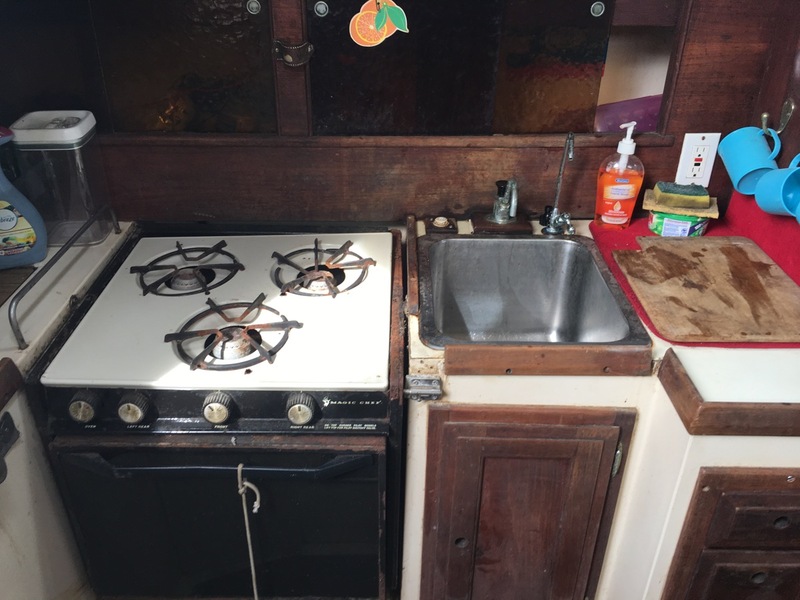 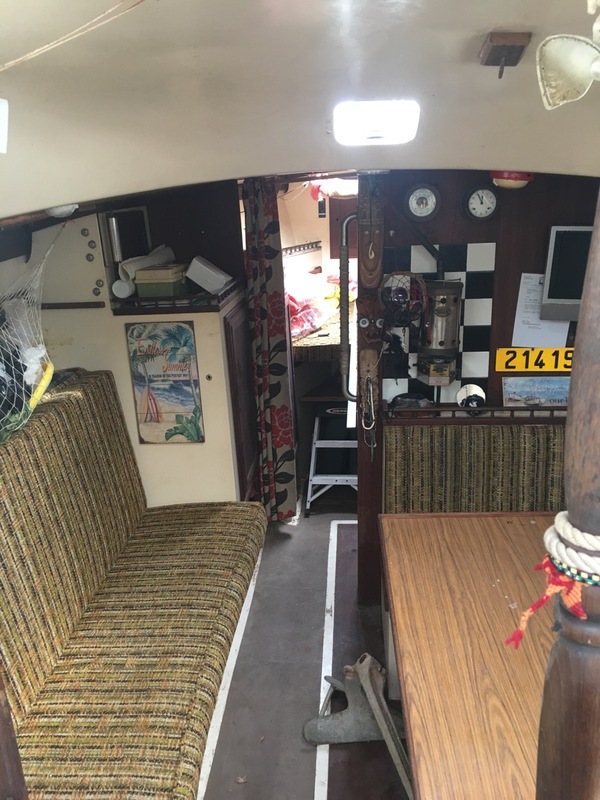 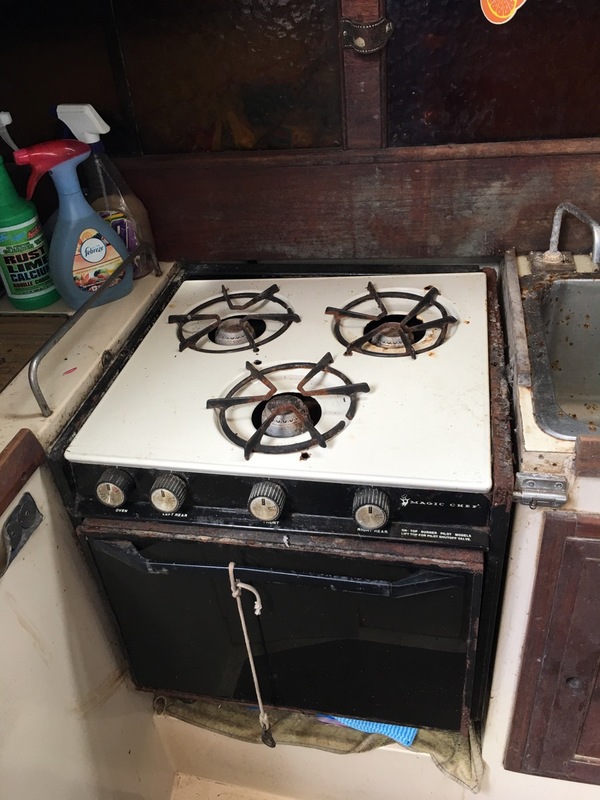 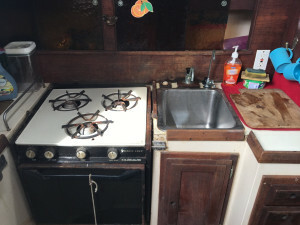 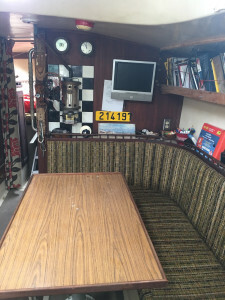 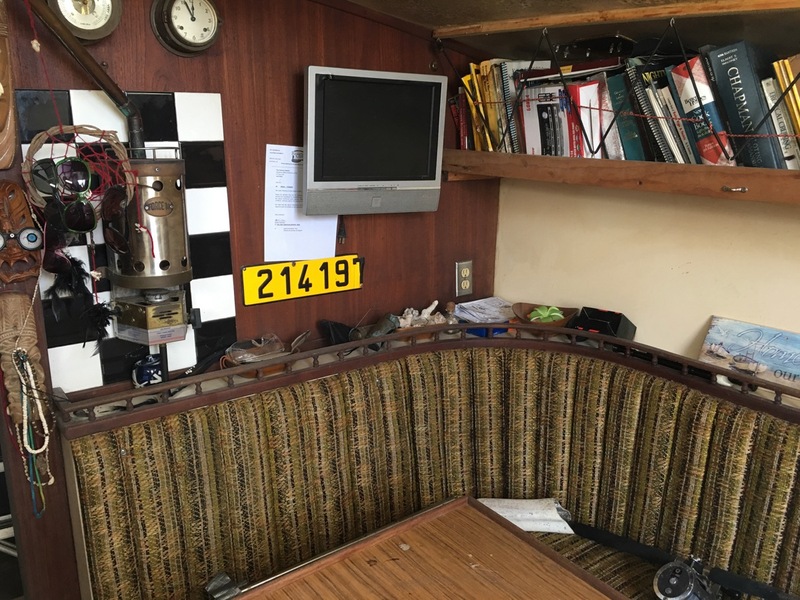 Further aft of the saloon to port is the galley with a two burner marine cook top, a stainless steel sink and ample storage space for food and cooking utensils. 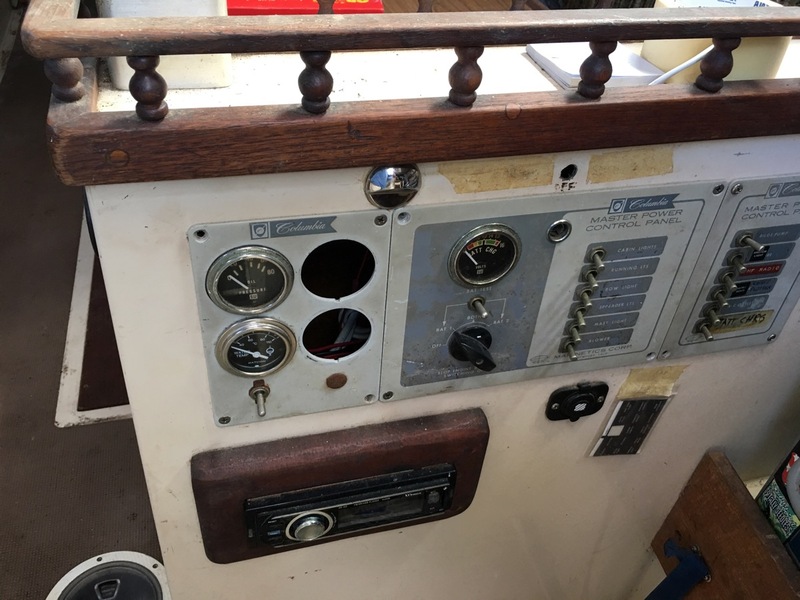 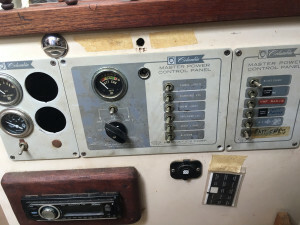 Directly opposite the galley is the navigation and communication station and the main electrical switchboard. The vessel engine compartment is located under the companionway and houses the vessels Universal Atomic 4 propulsion engine. The vessel’s electrical system comprises of 2 x 12volt batteries, an inverter /charger, and a circuit breaker panel at the main switchboard. 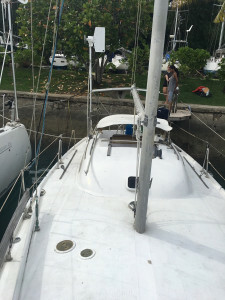 A rack of solar panels are mounted over the transom rails aft. The electrical system provides power for the international running lights and all interior light and house electrical systems. 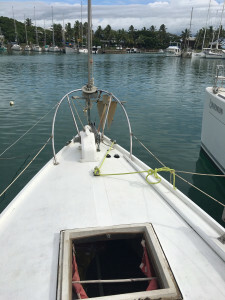 SOLAR PANELS: Solar panels wattage 85 watts times 2 BP solar panels. 1 Kyocera KC-85T 85 watts. 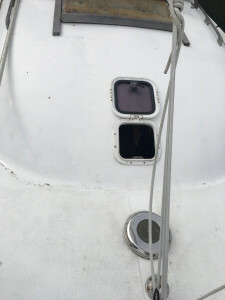 The vessels hull was was found in apparent fair condition. All deck fittings including cleats, turnbuckles, stanchions, rails, pulpit, tracks, slides, snatches and travelers were found in satisfactory condition and well secured. 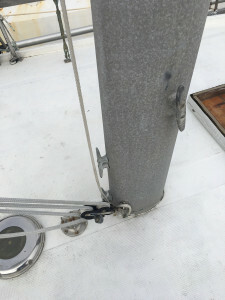 All components of the stainless steel rigging appeared in good condition with no evidence of defects. 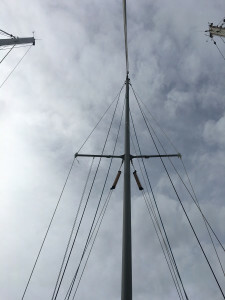 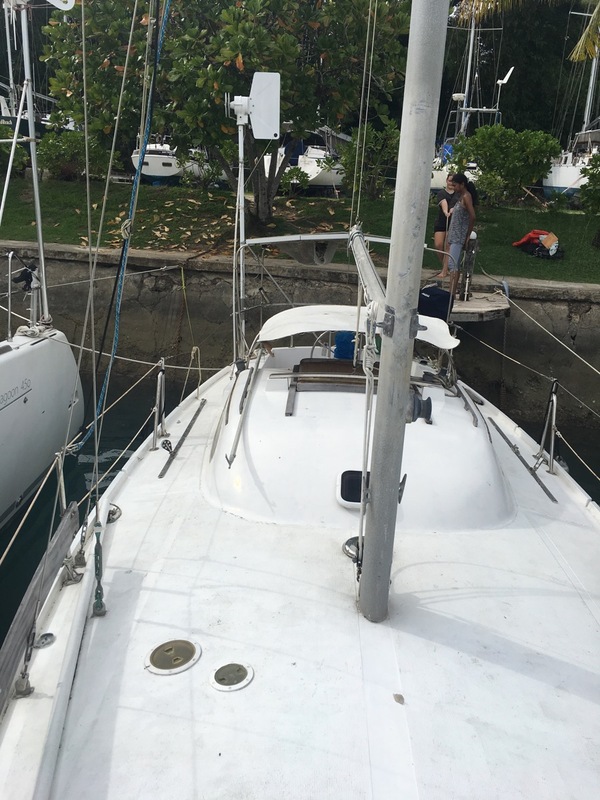 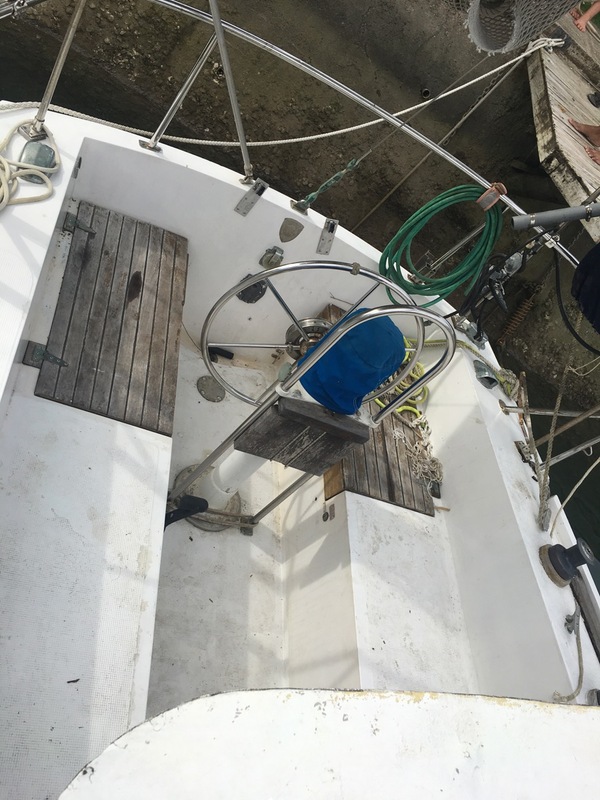 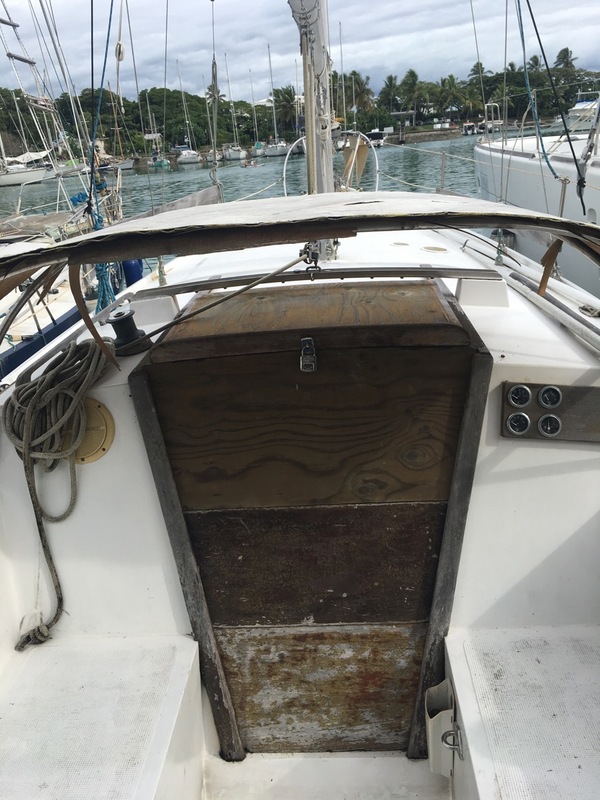 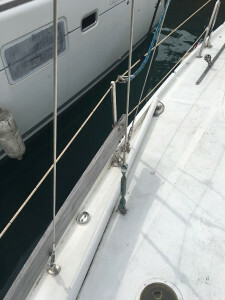 The mast and boom were inspected from deck and were found to be free of corrosion and in apparent good condition. All running rigging control lines examined were in good condition and all primary winches, sheaves and blocks were confirmed to be moving freely .The deck penetrations including hatches, skylights and ports were confirmed weathertight and functioned well. 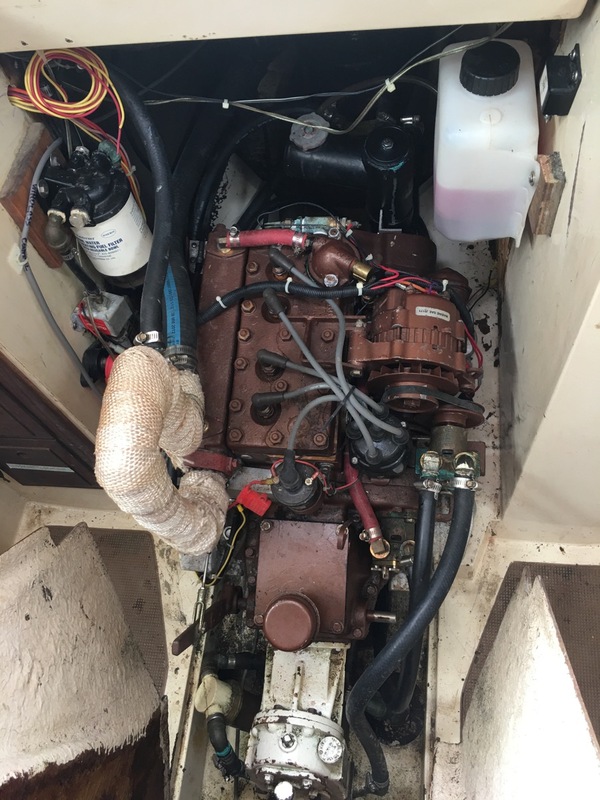 The vessels engine, batteries, electrical system and associated equipment were found well installed and in apparent good condition. 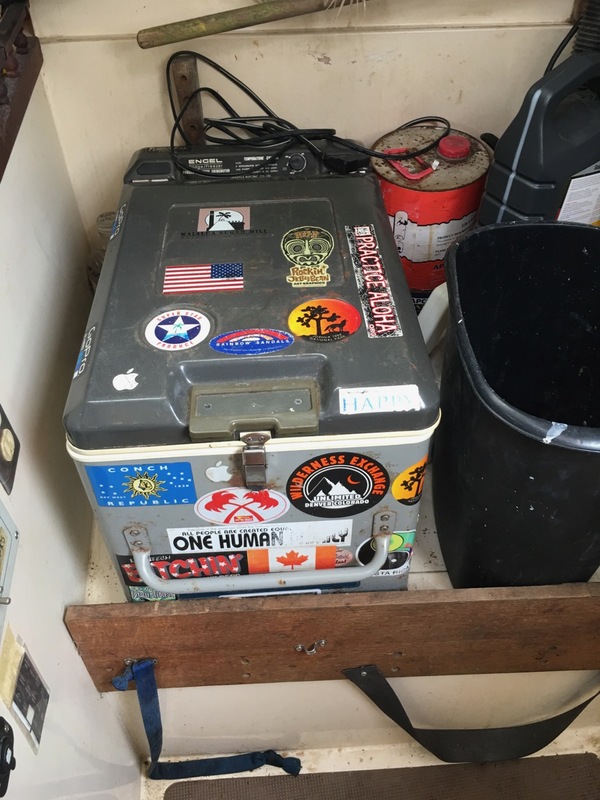 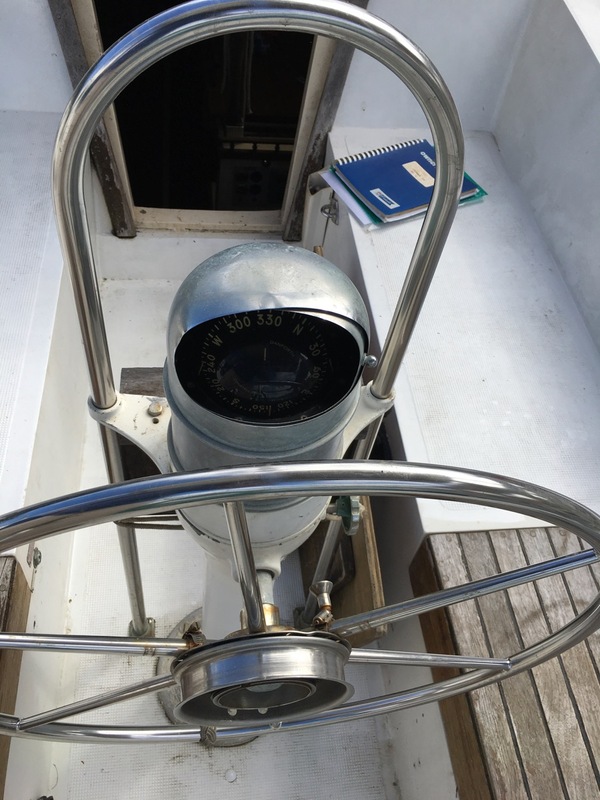 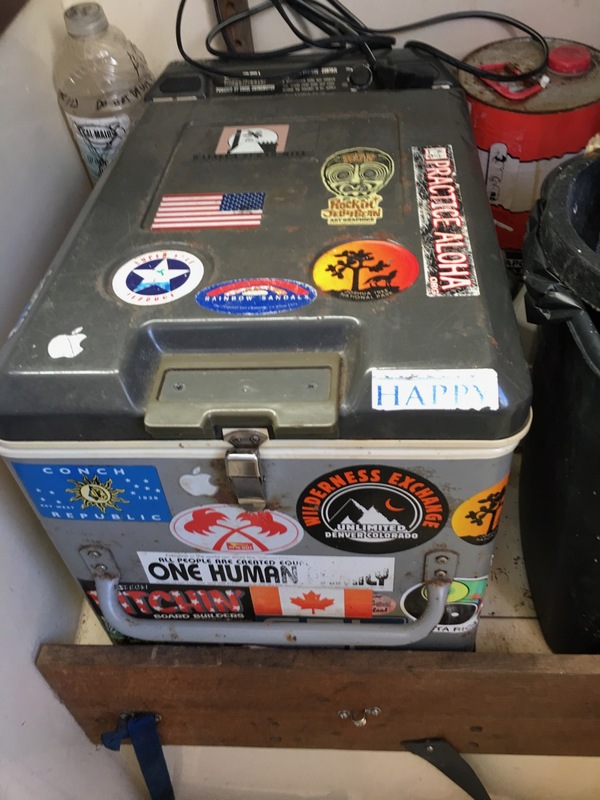 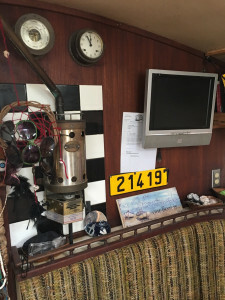 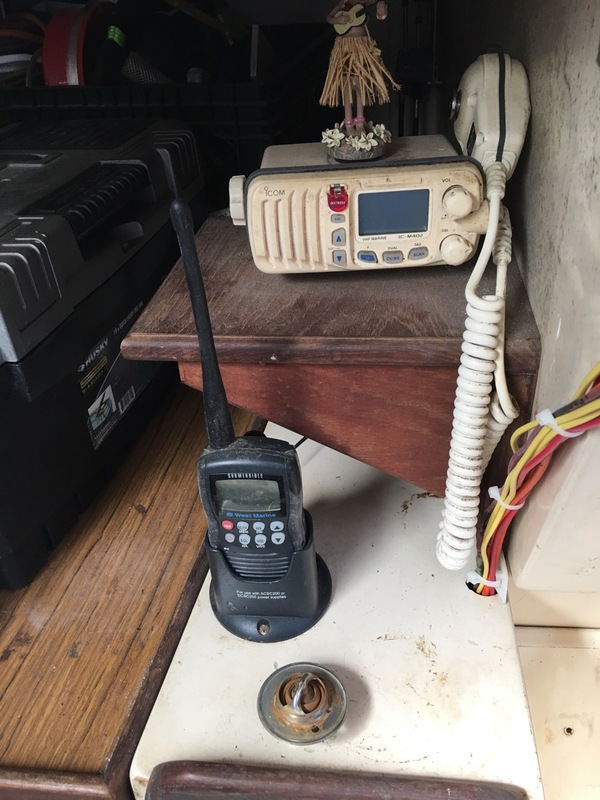 All elements of navigation and communication equipment were in apparent good order and condition upon testing and the vessel carries safety equipment consistent with customary cruising requirements. The vessel is a well-constructed comfortable cruising yacht and her internal spaces were, whilst admittedly compact, functional and sensibly fitted out. 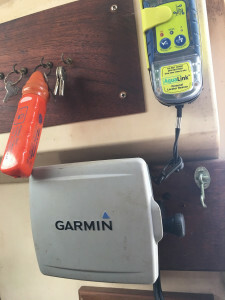 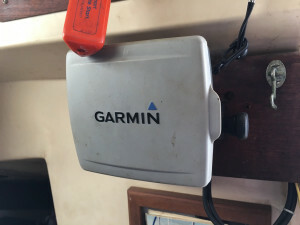 With regard to our inspection we are of the opinion that there are no obvious defects that would require immediate attention before resumption of recreational ocean cruising apart from the personal Epirb which requires battery renewal. 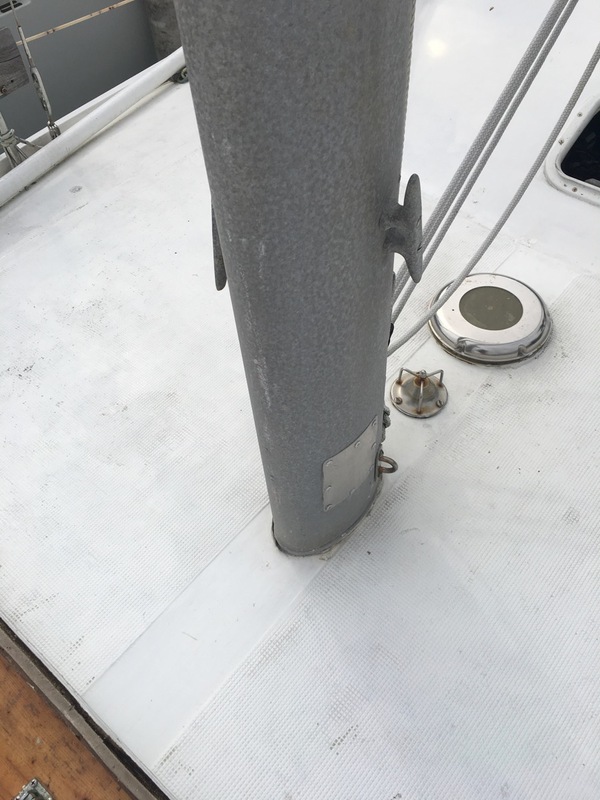 Subject to Epirb upgrade the vessel should in the opinion of the undersigned surveyor be in a fit condition for ocean cruising. 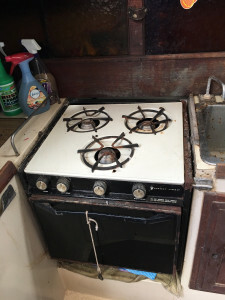 Price Base : AUD$ 41,000 Neg.